If you want a special gift for a very special person this Christmas, why not have a go at making one of our fabulous festive mugs? Not only are they easy peasy to make, your Christmas mug gift is a fabulous one-off that no one else in the world will have- pretty neat! Even better, if you are on one of our three resorts this Christmas, you can come and join our Redcoats make these Festive Mugs in on of our Christmas Arts and Crafts Extra Sessions. For this activity we charge a little extra of £5 and require a parent or guardian to come along and join in – perfect for making a mess together and having someone else do all the clearing up! Use your porcelain pens to decorate your mug with any design you want, whether it’s a Christmas tree, snowflake or a self-portrait! Be as imaginative as you like. With your mug all decorated, you fill it with your delicious hot chocolate sachet, candy cane and any other little treats you want to add. With your mug filled with yummy treats, you can then wrap it up in cellophane; this not only looks splendid, but protects your gift from being damaged. Finish off by tying it all together with a ribbon of your choice. 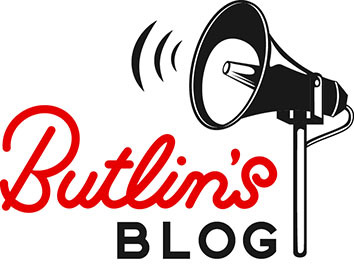 We would love to see some of your beautiful festive mugs, just post on our Facebook page or tweet us @butlins! If you are at Butlins this Christmas, why not come and join in our festive makes with the Arts and Crafts activities team!